After having withdrawn from Formula One at the end of 1962, Porsche decided to focus on sports car racing and develop a successor to the 718. The result of this decision was the 904, officially called the Carrera GTS. The race car debuted in 1963 and began its racing career in 1964. Porsche also produced a road-legal version in order to comply with homologation regulations of the era. The 904 was one of the most innovative cars of its era. The body was built from fiberglass, after a decade of development and consultation with aircraft manufacturers, and bolted onto a stamped-steel chassis. The car tipped the scales at only 1,433 pounds and had tremendous aerodynamics, which allowed it to achieve top speeds that weren’t possible with earlier Porsche race cars. The 904 was also the final significant application of the Fuhrmann-designed four-cylinder engine, which had a complex but very durable design and was used in no fewer than 34 Porsche models. The tiny racer became famous within a matter of months after its introduction, being entered in races and rallies all over the world. By the end of its career, the 904 had entered 1,300 races, achieving more than 300 class wins and 145 outright victories. 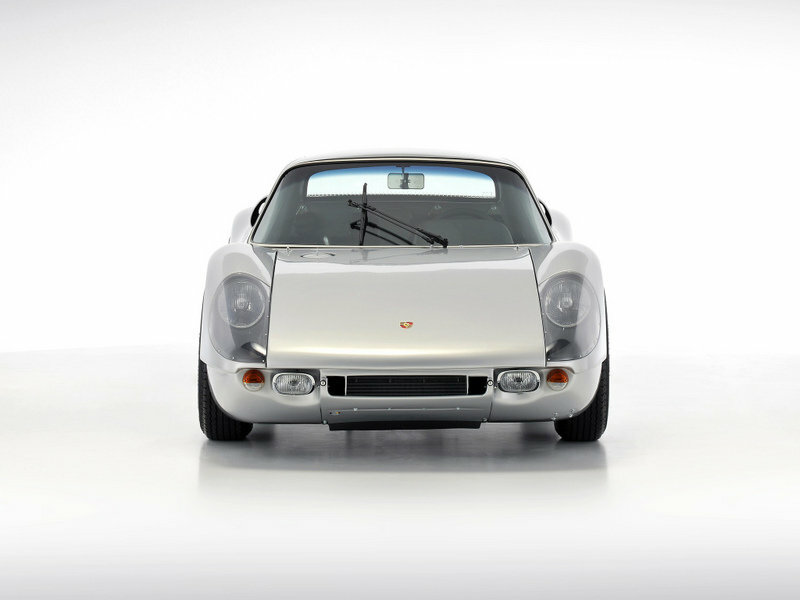 Five decades later, the 904 has become a highly sought-after collectible. 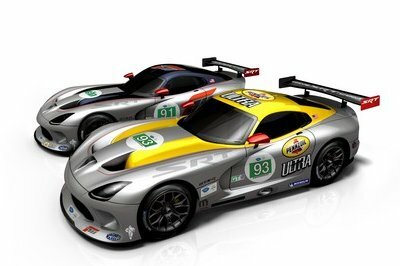 Some models, like the factory race car shown above, are worth millions of dollars. Let’s have a closer look at the Porsche that marked the beginning of a series of racers that culminated in the mighty 917. 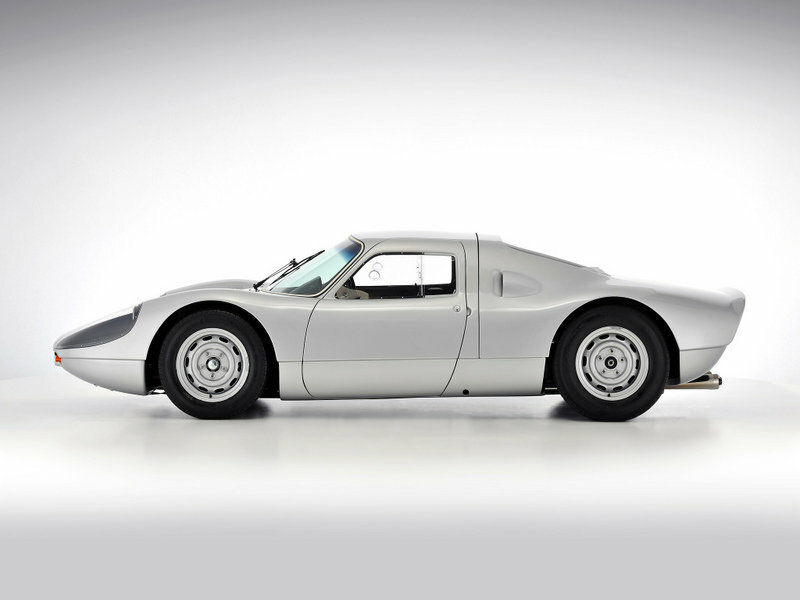 Continue reading to learn more about the Porsche 904 Carrera GTS. 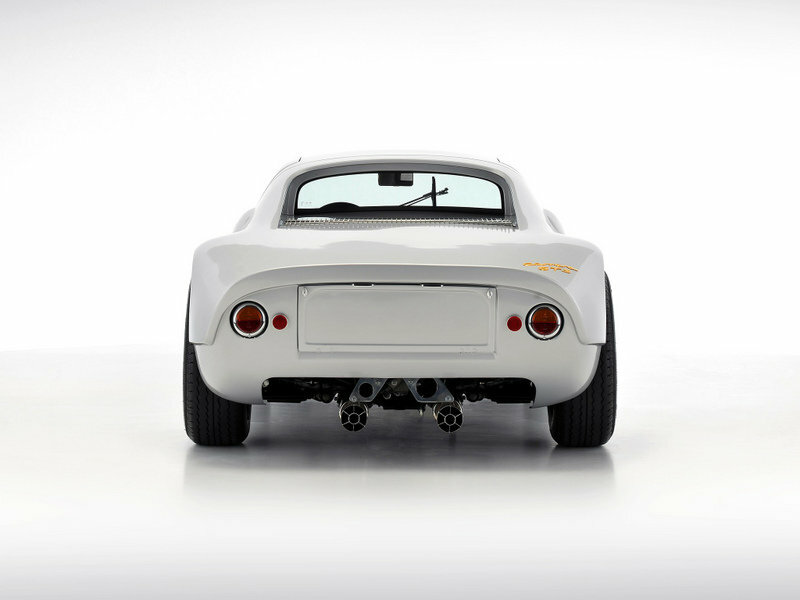 Like most Porsche designs of the era, the 904’s was relatively straightforward. 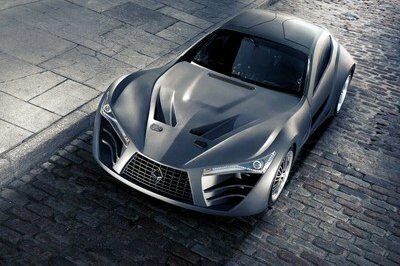 The plastic body featured flowing lines that translated into muscular fenders and a somewhat bulbous roof. The short wheelbase and the narrow width gave the 904 a unique appearance. Granted, it wasn’t particularly pretty, but it was the ultimate embodiment of Porsche’s no-nonsense, purposeful racing design. Granted, it wasn't particularly pretty, but it was the ultimate embodiment of Porsche's no-nonsense, purposeful racing design. The 904 was also the first Porsche to employ a fiberglass (plastic) body. Because the Germans realized that using a traditional aluminum body for a production car would make it too costly to manufacture, they decided to go with fiberglass. At the time, Porsche had no idea that the 904 would be the first in a long line of plastic-bodied race cars. 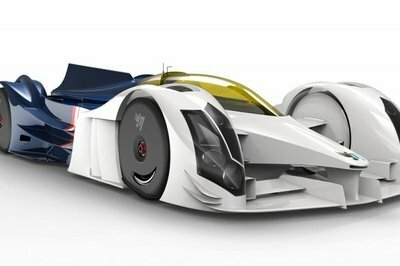 The material would soon became popular with race car manufacturers as it didn’t rust, it was easy to fix in the pits, and, most importantly, it was lightweight. The styling was the work of Ferdinand Alexander Porsche, the son of Ferry Porsche. His ideas produced a body which had a drag coefficient of 0.33 Cd. The bodies, which had more than 50 fiberglass components, were built and assembled by the Heinkel Aircraft Company. 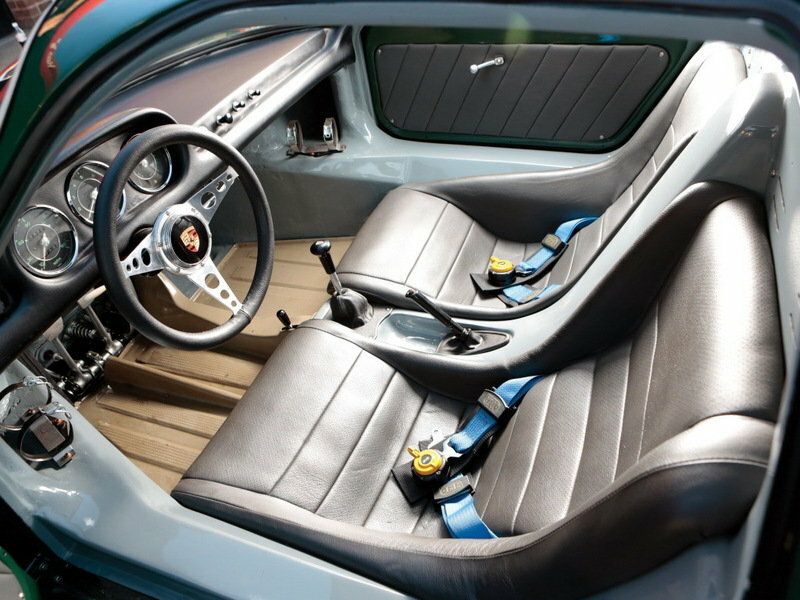 Much like any race car of the era, the 904 had a spartan interior, even in its street-legal configuration. The dashboard was simple, with three analog gauges behind the three-spoke steering wheel and an array of switches on the passenger side. While most cars came with velour upholstery, some road-going vehicles were equipped with leather seats. The lightweight door panels were another statement of the car’s race-bred nature. Naturally, the racing version had six-point harnesses and a fire extinguisher. The chassis of the 904 was designed to accept a number of engines, as Porsche originally intended to use the flat-six from the 901 (911). 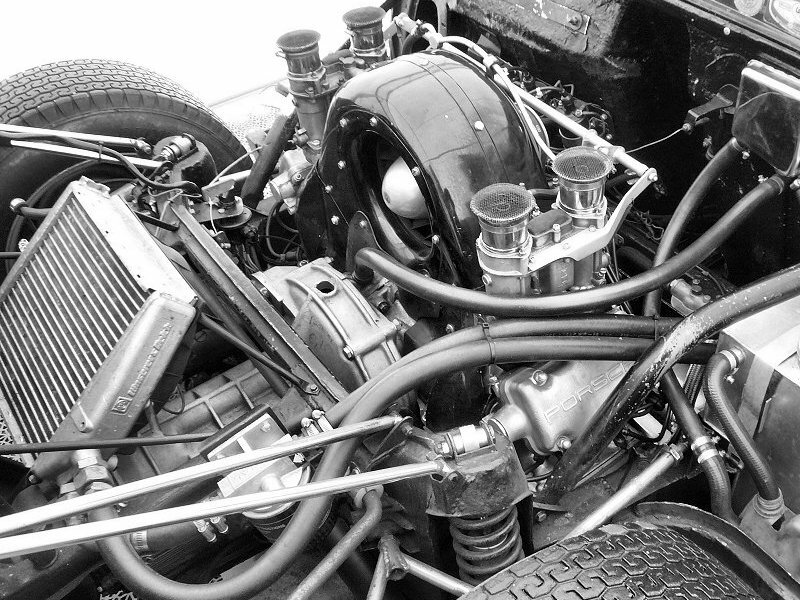 However, since the six-cylinder unit wasn’t ready for racing duties in late 1963, the 904 received a massaged version of the 2.0-liter flat-four previously used in the 718 and 1953-1956 Porsche 550 Spyder. In 1965, the 904's second and final production year, some examples received a version of the 911's 2.0-liter flat-six. Developed by Ernst Fuhrmann in the 1950s, the engine was modified by famed engineer Hans Mezger to develop 180 horsepower at 7,200 rpm and 144 pound-feet of torque at 5,000 rpm. With this mill behind the seats and a five-speed manual to handle the gearing, the 904 needed 6.4 seconds to hit 60 mph and achieved a top speed of 163 mph. In 1965, the 904’s second and final production year, some examples received a version of the 911’s 2.0-liter flat-six. This version was dubbed the 904/6. A few factory race cars were also fitted with a 2.0-liter flat-eight derived from the 804 Formula One car. These engines were good for 225 horsepower, which increased the 904’s performance, but weren’t as reliable as the flat-four. The model shown here uses a four-cylinder engine. 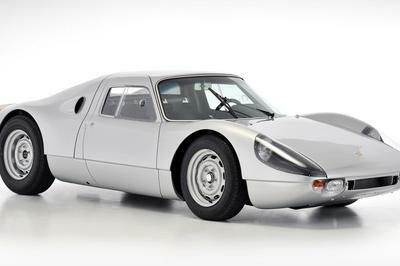 In 1964, Porsche asked $7,425 for the 904, which made it one of the most affordable race cars. 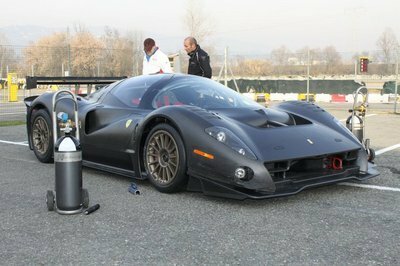 Nowadays, well-maintained models can fetch in excess of $1 million, but their value also depends on specification and racing history. 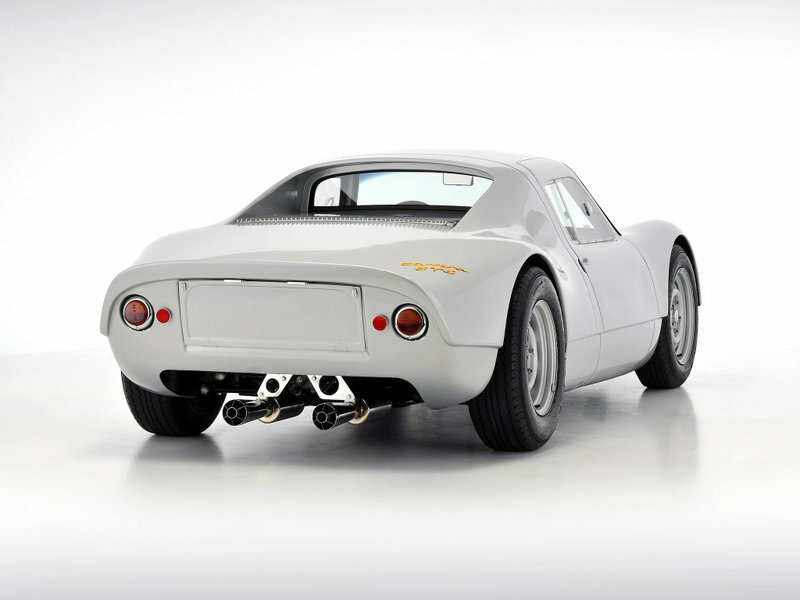 The most expensive 904 to date was sold by Gooding & Company for $1.6 million at the 2013 Pebble Beach Auction. 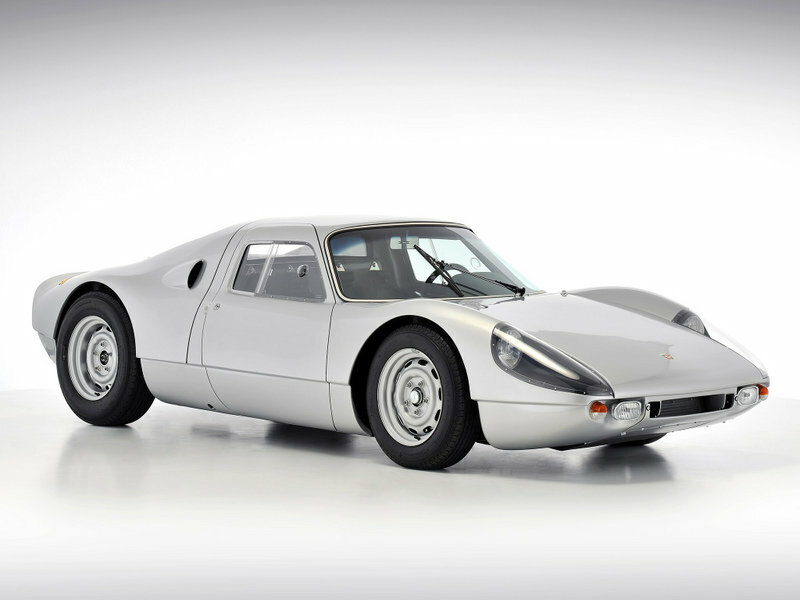 The most expensive 904 to date was sold by Gooding & Company for $1.6 million at the 2013 Pebble Beach Auction. If Gooding’s estimate for the model shown here proves to be accurate, this Porsche works team car should break that record and become the first example to exceed $2 million. The auction house estimates it will change owners for $2.25 to 2.75 million. The reason why this model is so valuable is because it’s one of the only nine cars Porsche kept for works race team use. Results included a second overall at the 1964 Targa Florio, third in GT class at the 1964 24 Hours of Le Mans, second in class at the 1964 Tour de France, and second overall at the 1964 Monte Carlo Rally. The car is in mint condition and over the last 15 years it was entered in no fewer than 27 vintage racing events, including the Le Mans Classic and the Monterey Historics. The Porsche 904 spent most of its racing career in the GT 2.0-liter class, in which no other competitors, (usually Fiats, Abarths or even older Porsche 356s,) could match its performance. This meant that the 904 often had outstanding result against cars with bigger engines, including the mighty 250 GTO. Already three years old in 1964, the 250 GTO was still a competitive car and would continue to dominate the World Sportscar Championship until 1965, when the Shelby Daytona Coupe took its crown. Powered by a larger 3.0-liter V-12, the GTO was both faster and more powerful than the 904. However, the 904’s agility and reliability brought Porsche a few important victories against Ferrari, including the 1964 Targa Florio. 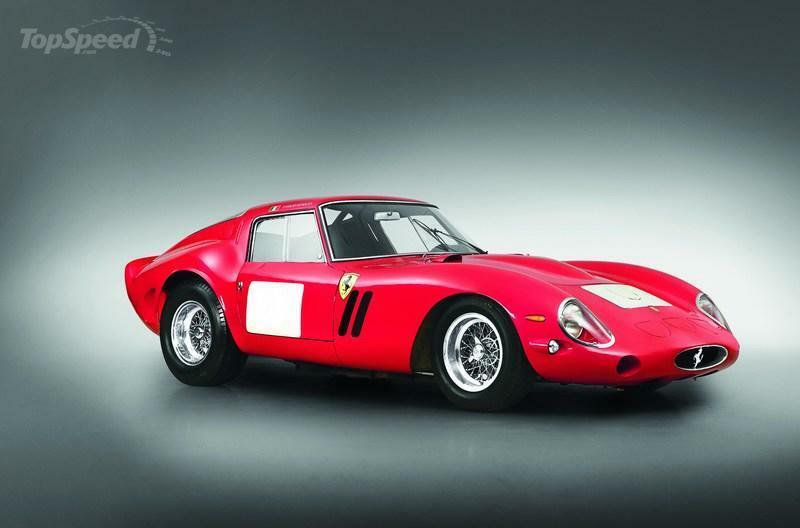 Despite that, the 250 GTO went on to become one of Ferrari’s most iconic models and the most sought-after classic. Nowadays, GTOs can fetch as much as $52 million. No, that’s not a typo. 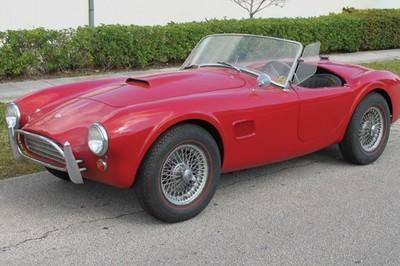 The Cobra was yet another big-engined car that had trouble keeping up with the 904. Motivated by V-8 engines displacing from 4.3 to 7.0 liters and producing up to 485 horsepower, the Shelby Cobra entered many European events in 1964, but it wasn’t as successful as the 904. In fact, the Cobra lost most of its battles with the tiny Porsche. However, that’s not to say the Cobra wasn’t a successful racer. The American car entered 499 events and achieved 178 outright wins and 81 class victories. Granted, those numbers aren’t as impressive as the 904’s, but keep in mind that Shelby built far fewer Cobras. Find our more about the Shelby Cobra here. The 904 may have been since overshadowed by several other Porsche racers from the 1970s and 1980s, such as the 917, 935, and 956/962, but nowadays it is regarded as the car that paved Porsche’s way toward a successful motorsport career that continues to this day. It was incredibly popular in its first years, with numerous privateers choosing it over more powerful cars due to its incredible lightness and affordable price. The fact that this racer entered no fewer than 1,300 events speaks volumes about the unprecedented impact it had on the motorsport scene in the mid-1960s. Yeah, the 917 was the most radical of the plastic-bodied Porsches and unlike the 904, it dominated and won the 24 Hours of Le Mans on two occasions, but the 904 was the ultimate embodiment of the Porsche race car that was affordable and fast. For this, the 904 deserves a special place among classic race cars, and judging by the interest it has spawned over the last years, it has finally achieved it.